Createspace Independent Publishing Platform, 9781986210782, 270pp. In the lush, tropical world of Martinique where slavery is a distant memory and voodoo holds sway, Emilie Dujon discovers that her fianc , a rich sugar planter, has been unfaithful. Desperate to leave him, she elicits the aid of a voodoo witch doctor and is lured into a shadowy world of black magic and extortion. When the volcano known as Mount Pel e begins to rumble and spew ash, she joins a scientific committee sent to investigate the crater. During the journey she meets Lt. Denis R my, an army officer with a mysterious past. At the summit, the explorers discover that a second crater has formed and the volcano appears to be on the verge of eruption. But when they try to warn the governor, he orders them to bury the evidence for fear of upsetting the upcoming election. 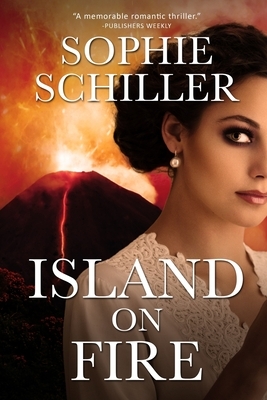 As the pressure builds, a deadly mudslide inundates Emilie's plantation and she disappears. With ash and cinders raining down, chaos ensues. Left with no choice, Lt. R my deserts his post and sets off on a desperate quest to rescue Emilie. But with all roads blocked, can they escape the doomed city of St. Pierre before it's too late?